I have some of the finest (read: thin) hair on the planet! 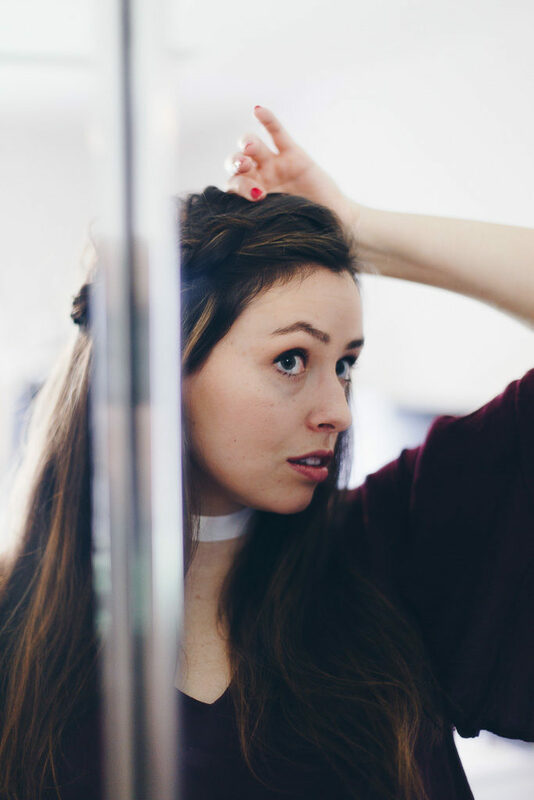 My hair is naturally straight and very smooth, which is wonderful during the humid summer months but more often than not it tends to look stringy and incredibly flat if I don’t style it. Over the years I’ve tried just about all of the techniques to achieve voluminous, dramatic hair. I’m listing all my favorites below — no teasing or heat required. 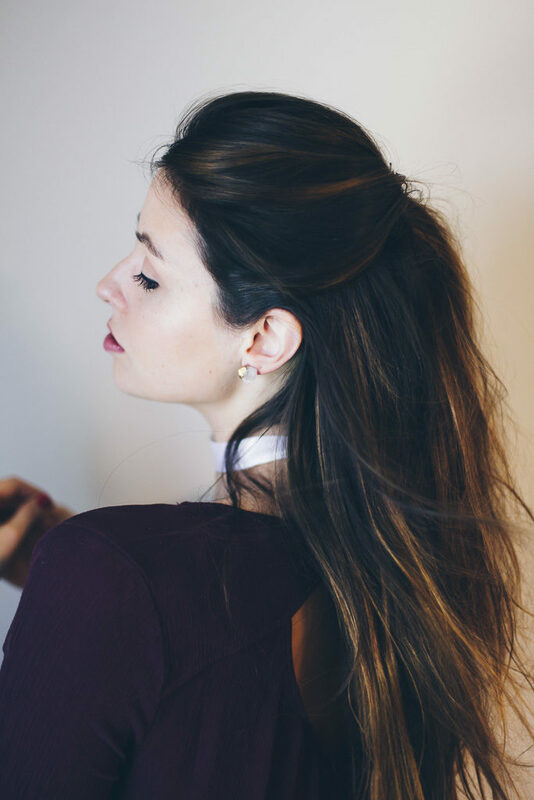 If you have fine hair and are do not use dry shampoo, you need to start immediately! 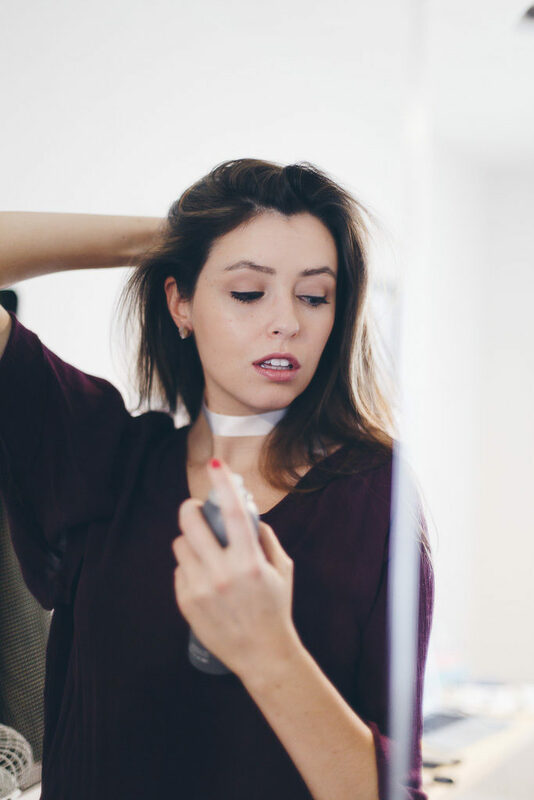 Dry shampoo absorbs excess oil and gives your hair a gritty, dry texture. It makes it a lot more pliable and easy to style. It helps hold styles and instantly makes your hair thicker. Dry shampoo is the bedrock to achieving volume if you have fine hair! Deep side parts will help you naturally achieve volume. 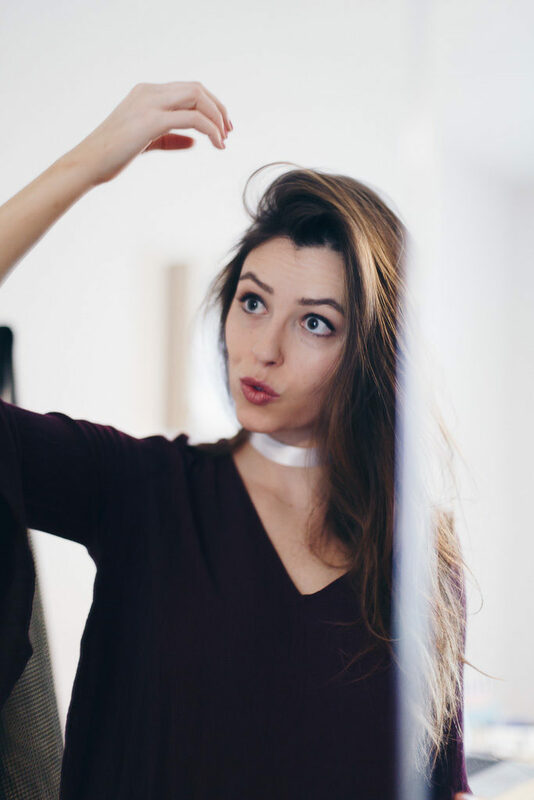 Every few days change the side of your part — your hair will not be flattened or used to the part and will appear more raised. 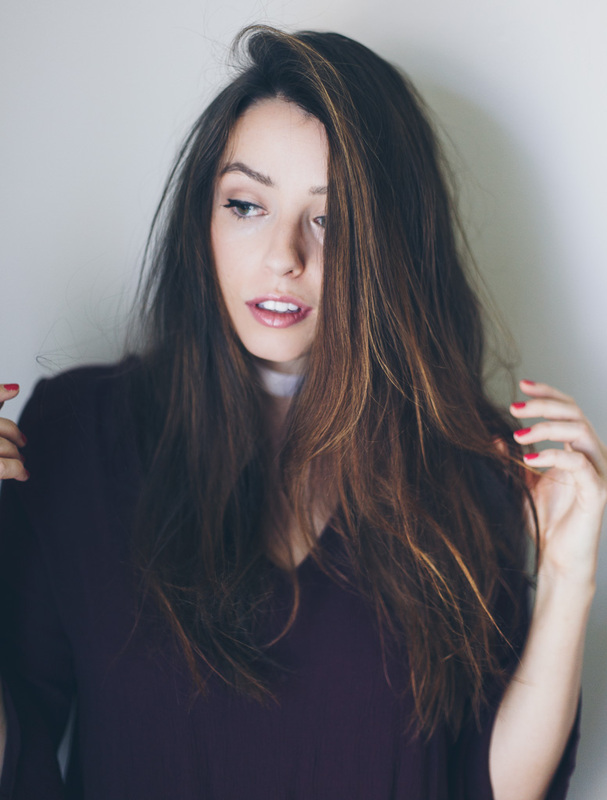 I recently colored my virgin brunette hair and got balayage done! Best decision ever. After the coloring process I instantly felt like the colored parts of my hair had more texture. My stylist colored a few pieces framing my face (near the crown) and since then I’ve noticed more volume even after I’ve just shampooed my hair. 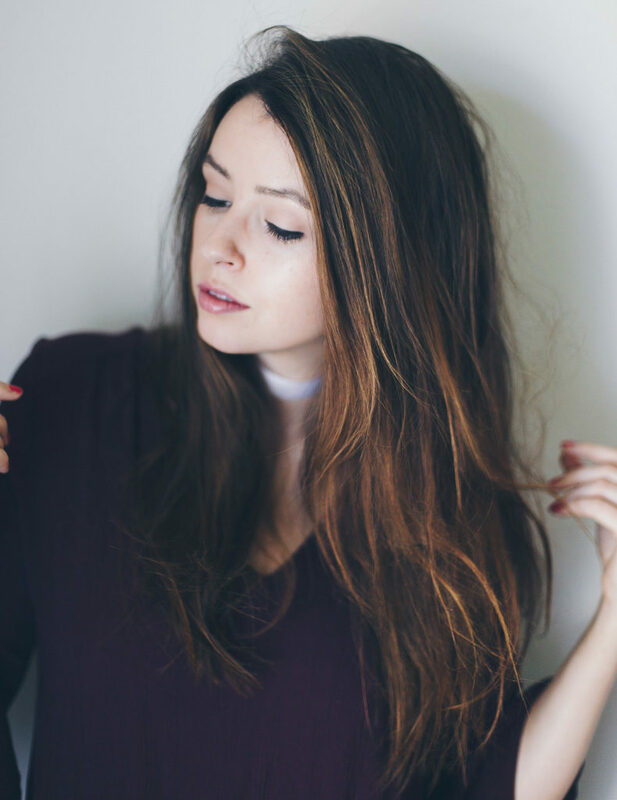 Teasing your hair is an obvious way to add volume but I noticed after a while I was actually breaking my hair by teasing it all the time! Not cute. So instead of teasing I “fake” the look by applying dry shampoo, and then sweep my hair into an updo and pin with bobby pins. The key to this look is pushing the top of your hair up (to add volume) and then while the hair is pushed up to securely pin it. Set with hairspray and the volume should last. If you have fine hair then braids will usually make your hair look even more thin! 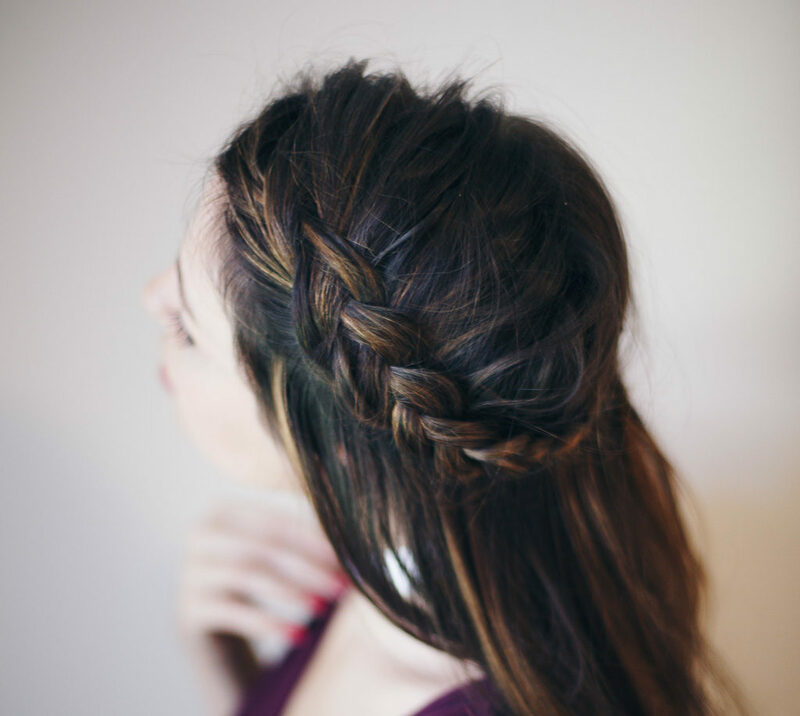 However if you pull them apart (no matter what the braid style) you can fake the look of thick hair. What are your favorite ways to achieve volume? 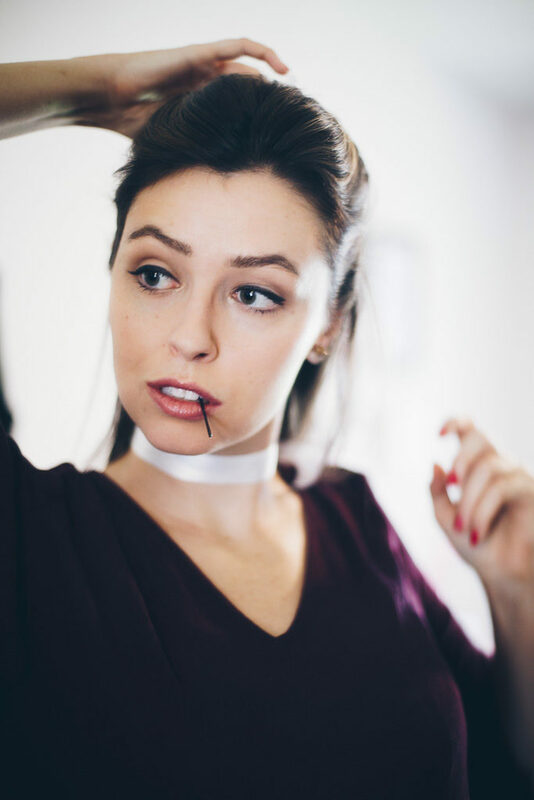 I’m always looking for more styling hacks! Thanks for these amazing tips girl! I also have really straight thin hair and will try some of your advices. Ahhhh I”m so glad you liked it Kristina!! Let me know how it goes.